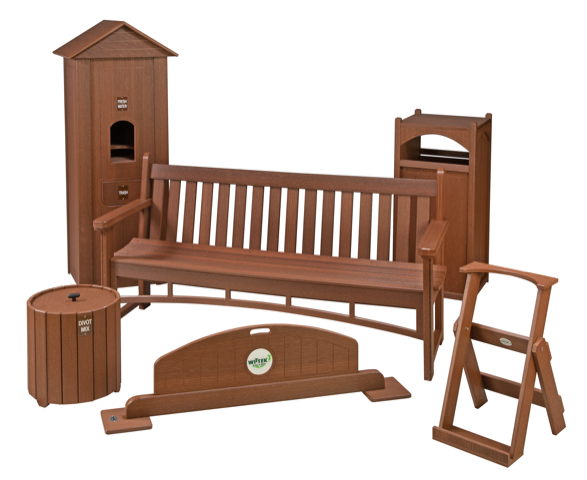 Wittek Golf Supply, a P&W Golf Supply company and the leader in range equipment and golf supplies announced their brand-new Walnut Collection of recycled plastic furnishings. Made from the same durable and maintenance free material, the Walnut Collection has the look of real wood without the upkeep of it. Made here in the U.S.A at Wittek’s California location, the Walnut Collection is the perfect blend of durability and craftsmanship, that fits in any course’s budget. “This new line of Walnut furniture is going to redefine the recycled plastic industry,” said Tony Clay, Sales Manager at Wittek & Eagle One. “The advantage for the customer is that all of these products are assembled in house, which means these pieces are fully customizable to your liking. That’s something you won’t see from our competition.” The Walnut Collection will be featured in Wittek’s 2019 catalog, available online and put on display at the 2019 PGA Merchandise show in booth #2443.